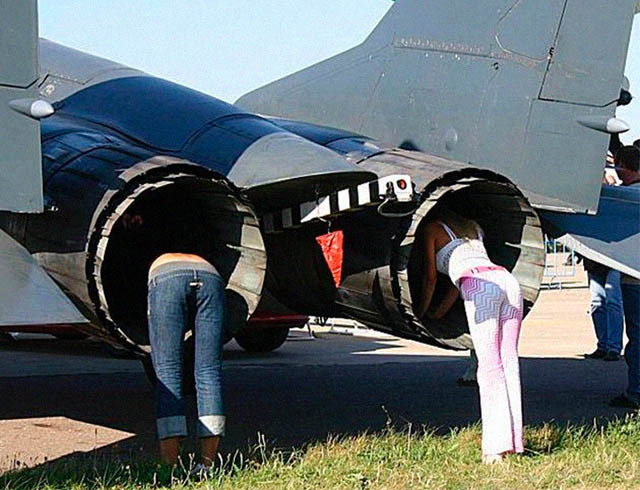 Have Your Garden BBQ Inside the Cockpit! 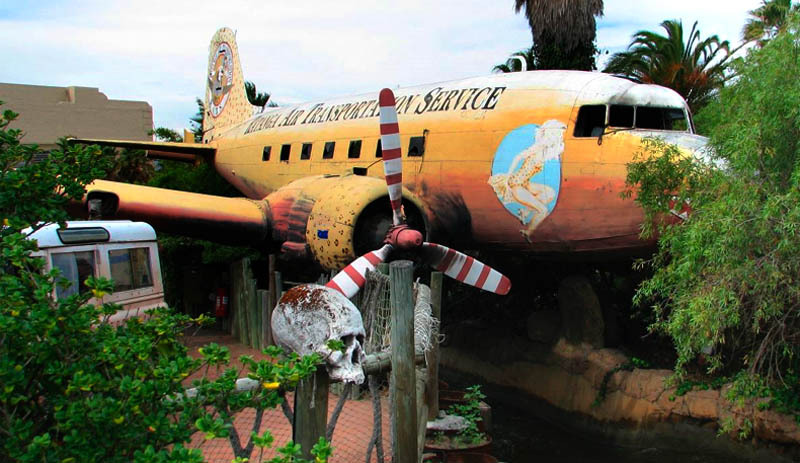 Extend Your House Into an Airplane! 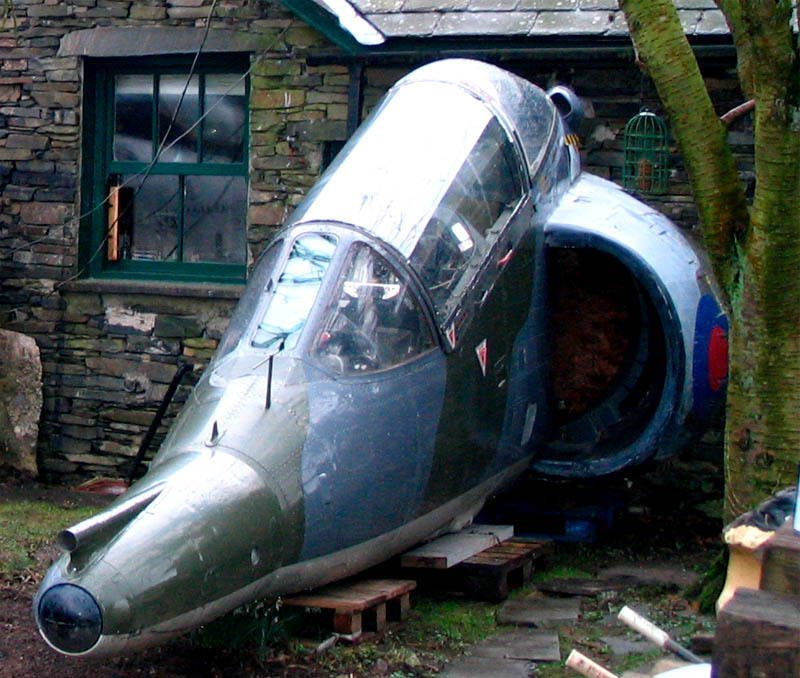 The ultimate driveway accessory! 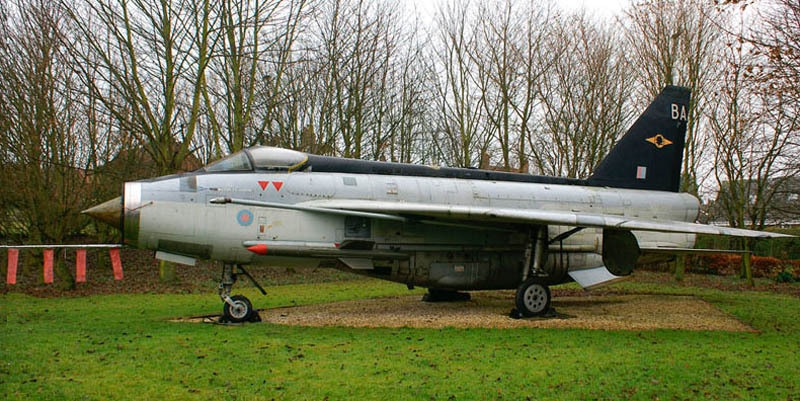 If you've always wanted to drive a Jag but find the cost a bit steep, how about one of these? 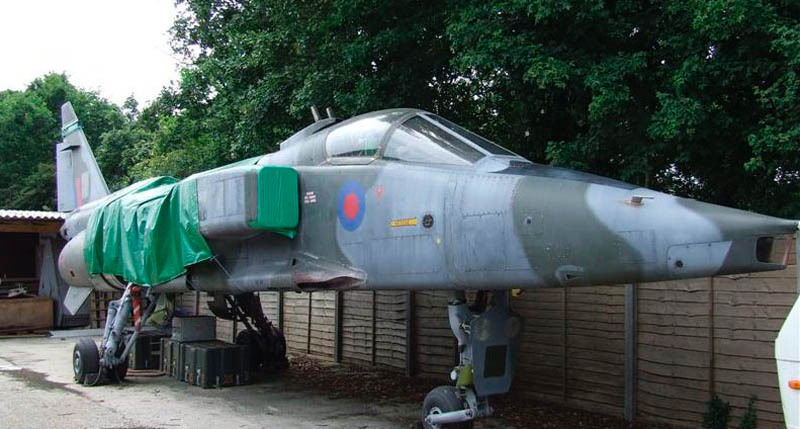 This is a Seepcat Jaguar, a recently retired Anglo French ground attack jet. 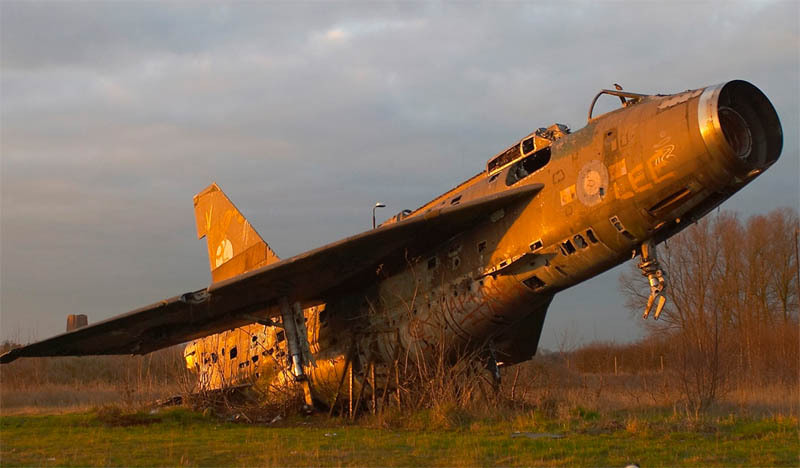 Upon retirement from service, an aircraft's price tag tends to drop from tens of millions of pounds to a few thousand in scrap metal value. As a result, this will now cost you less than the car variant (albeit a new one) and looks great on the drive. With its wings clipped off, it's a perfect fit! 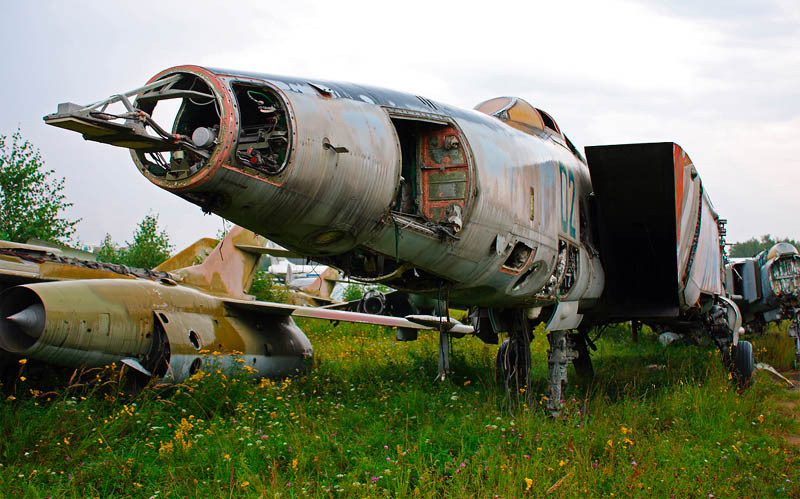 In the unlikely event that you decide to stay in a rundown motel somewhere in the East Europe outback (the exact location is Istra airfield, near Panevezys in northern Lithuania), why not one with old fighter planes dotted about the grounds? 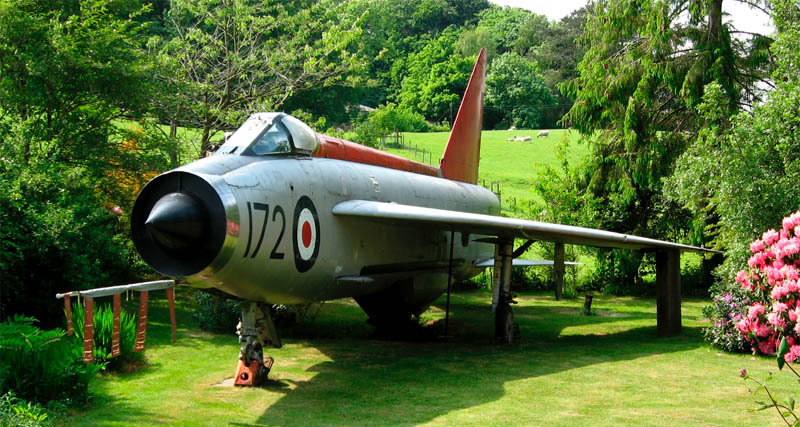 Is this a plane spotters paradise or an eerie glimpse back to the Cold War? 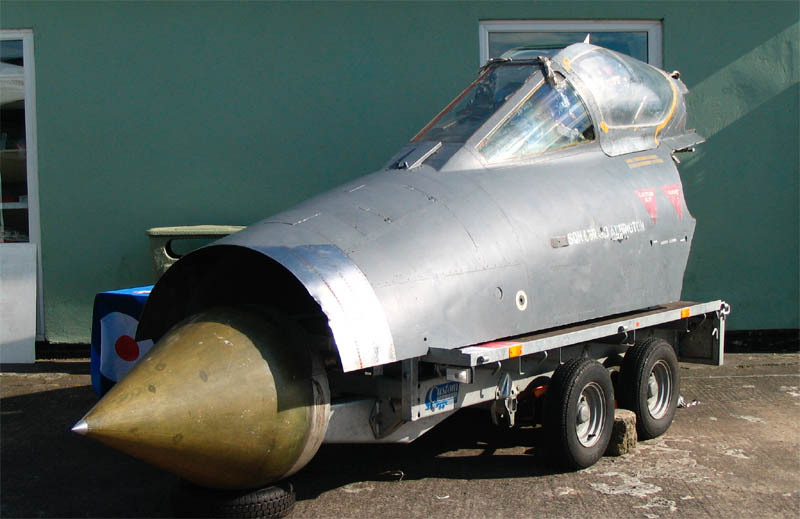 The plane on the right (above) is in fact at Bangalore Science Museum, but it has the look of a garden and the old fighter seems curiously out of its element sandwiched on a grassy area between two roads. 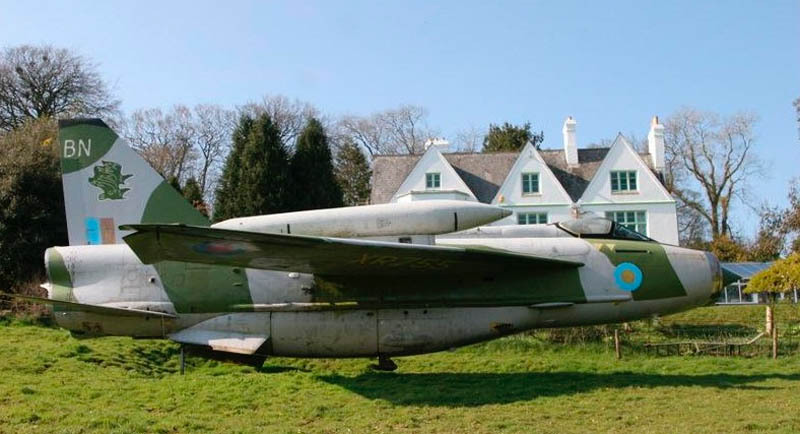 At the bottom of the garden - what must the neighbours think? 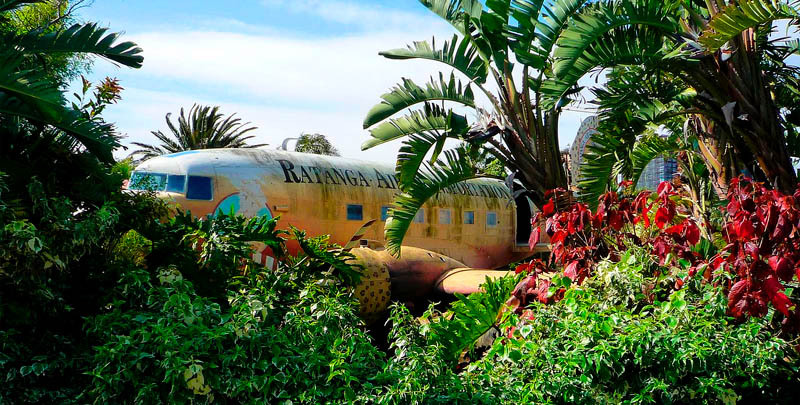 The fuselage of this Fed Ex plane appears to be a fixture in a "Cast Away themed garden show". 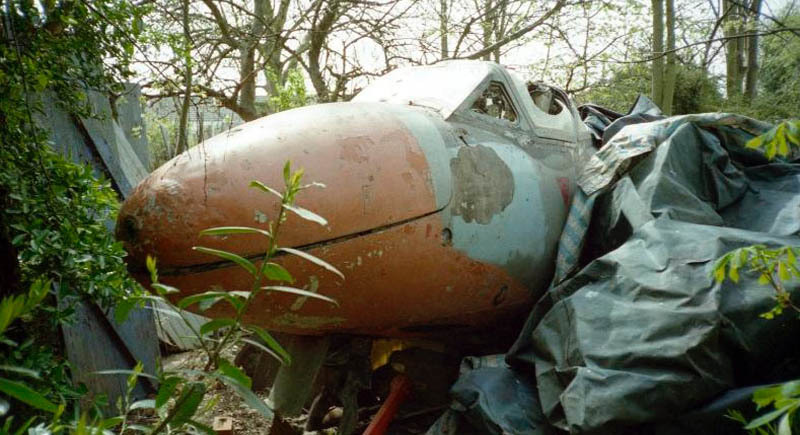 By all accounts, the wrecked plane serves as a tunnel through which keen gardeners at the show can pass from lush flora to a sandy beach (see below left). "Tom Moran launched Urban Ghosts Media in August 2009 after completing a fast-track journalism course in his hometown of Sheffield, UK. UGM is an alternative travel site with a focus on fascinating forgotten places and hidden history - the kind of places you'd love to check out but aren't necessarily at the top of your summer vacation list! Tom also contributes to British online newspaper The Daily Dust." 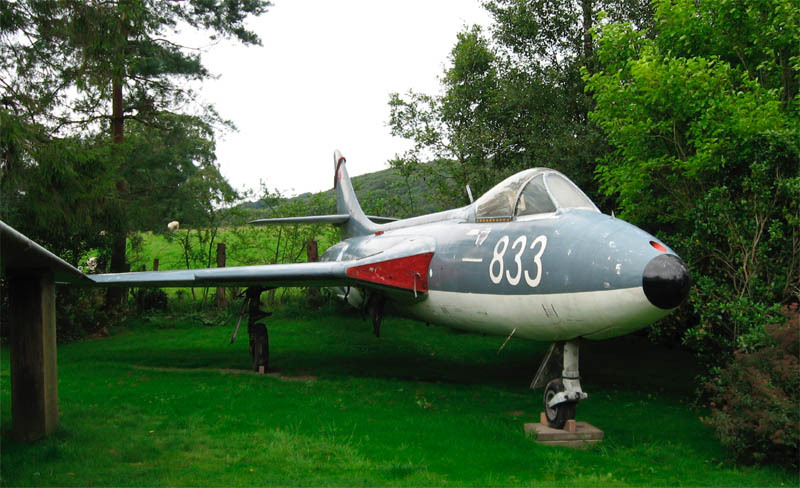 My friend was visiting in Albania, and saw the Lockheed T-33 some years ago. 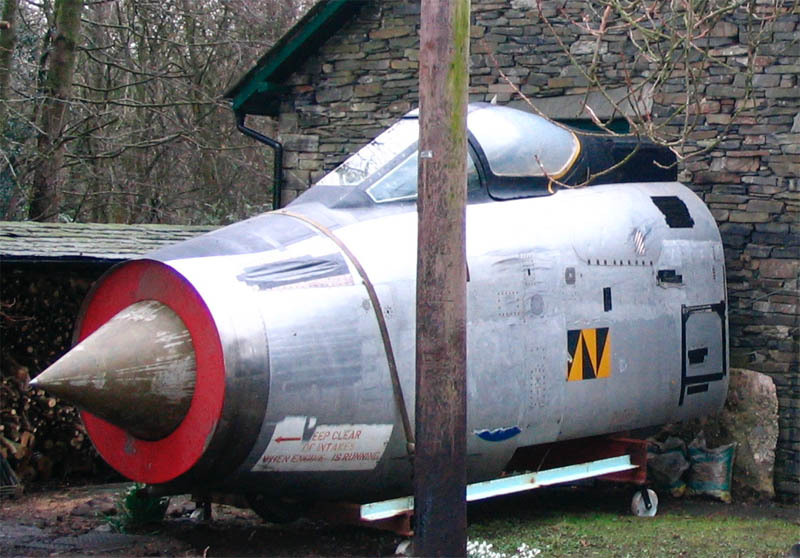 Great stuff - but the dH Vampire wasn't the first British jet fighter - that was the Gloster Meteor. Dad was fighting in Burma when the Meteor started flying and remembered rumours of "A plane without a propellor, which whistled like a kettle". Which rumours he dismissed, as did most who heard them. Spooky. I actually used to play in the lightening pictured at the top of the page. Cool Stuff. 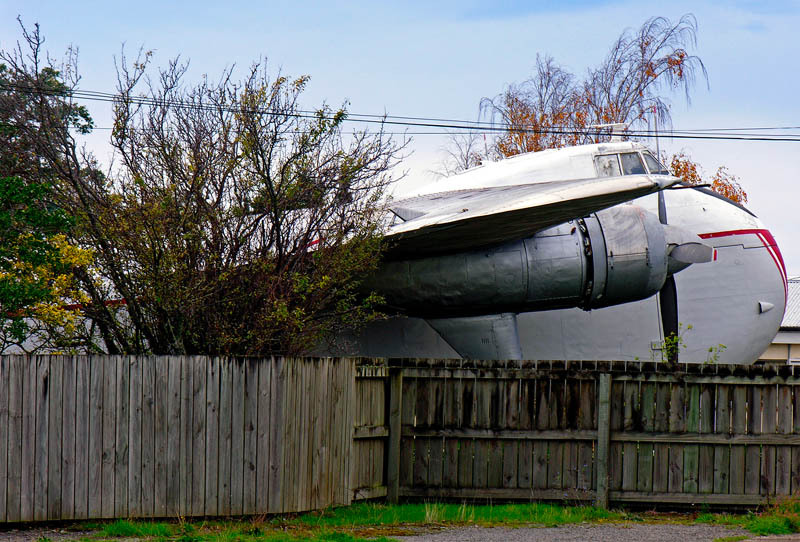 I love it when they turn an old plane into yard art. what fun for the kids! Anyway, touring from Estonia to Lithuania on E67 it is on your right at some point of this 600 km stretch.